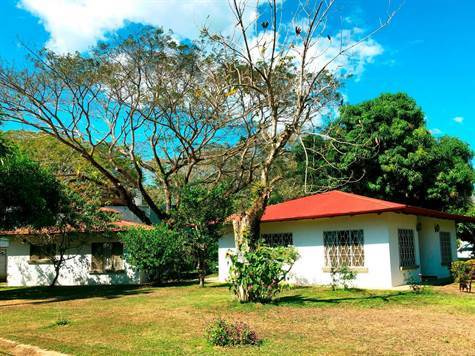 "CLOSE TO THE BEACH & LOS SUENOS"
Great Location – Nice corner lot in residential community minutes from the entrance to Los Suenos and Herradura Beach. Two simple houses – Main house is a one bedroom, one and a half bathroom with a living room, dining room, and kitchen and an attached garage perfect for expansion. The second house is a two bedroom one bathroom with a living room and kitchen perfect for generating income as a rental. Great opportunity is very close to the marine.